Property 11: Sapporo.NEW!#1 Stunning view from room! 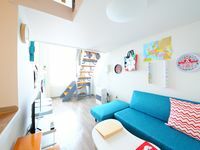 Property 32: 1 min from the nearest station! 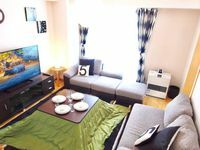 Property 35: Up to 12 people 2 room plan ・ 1 minute walk from the nearest station ・ 5 minutes subway to Sapporo Station / Odori / Susukino! Property 44: #7 6 mins to Hosuisusukino! wi-fi! Overall, a good stay. A little further from the station then expected but the clean room with good amenities made up for it.